In this post, I’m going to show you the 7 best cryptocurrency wallets. Back in 2018, over $1 BILLION worth of crypto was stolen, so I will also show you a few simple crypto security tips that you can apply right now. 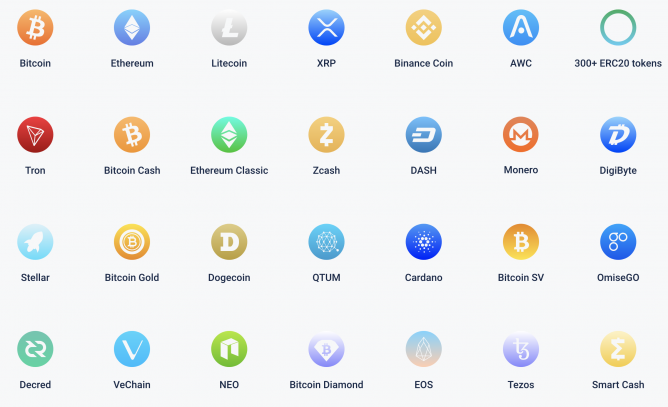 This guide will ALSO help you select which cryptocurrency wallet is best for you. Without further ado, let’s dive right into it. What types of cryptocurrency wallets are there? What makes a top cryptocurrency wallet? So, which cryptocurrency wallet is the best for you? Are cryptocurrency wallets really secure? You may be asking yourself: How does a cryptocurrency wallet work? What types of crypto wallets are there? No need to worry, I got you covered. Keeping it short and sweet, a cryptocurrency wallet is a tool that stores your private and public keys in order to let you send or receive cryptocurrency. Since crypto wallets are a just tool that uses your private keys to access your coins, there are two different types of cryptocurrency wallets: cryptocurrency software wallets and cryptocurrency hardware wallets. Let’s now explore each one in a bit more detail to help you to find the best crypto wallet for you. 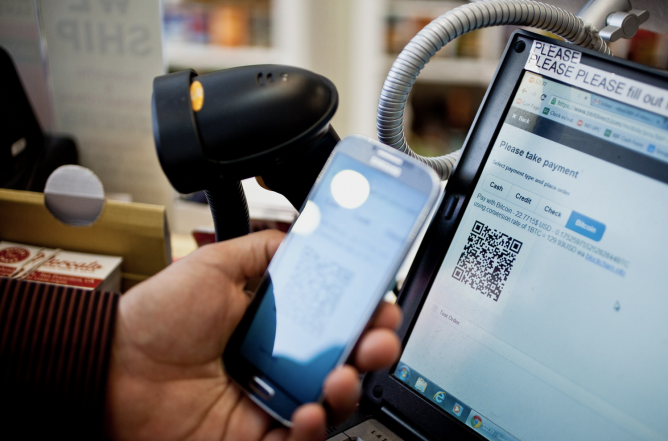 Online wallets are accessed on a website and enable you to interact with your coins from any device. 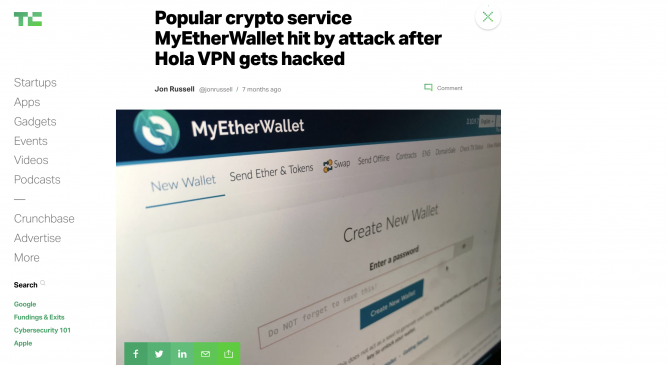 While it’s true that online wallets are not the most secure option since they are connected to the internet and can hence make you a target of bad actors, they are also one of the most convenient options. 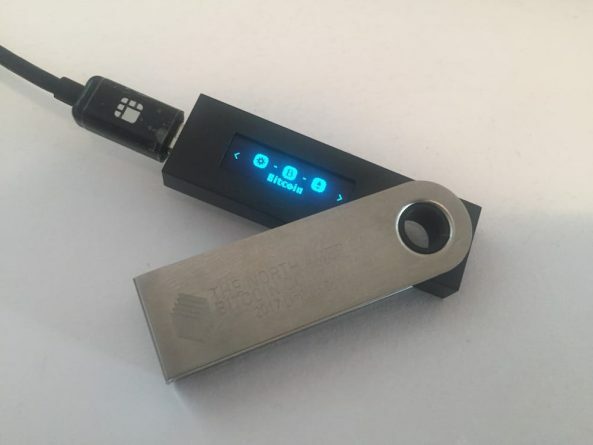 Crypto hardware wallets are by far the safest way to store your cryptocurrency. Let’s explore what makes them special. Crypto hardware wallets are devices that store your private keywords on a USB-like device. Hardware wallets are built in a way that always keeps the private keys offline, which leaves them out of reach of potential hackers at all times. However, even if someone steals your hardware wallet, that still doesn’t necessarily mean that your coins are at risk. The hardware wallets that we review below all enable you to set a multi-digit pin, which needs to be typed in before accessing the device to withdraw coins. Therefore, if your hardware wallet is stolen by someone who doesn’t know your pin, your coins are still perfectly safe. 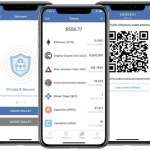 Crypto mobile wallets enable you to store your cryptocurrency right on your smartphone. This makes it very simple to carry around your crypto wherever you go and also enables you to easily use your coins for day-to-day purchases. That being said, many people decide not to leave a lot of coins on their mobile app wallet because smartphones can be an easy target for hackers. 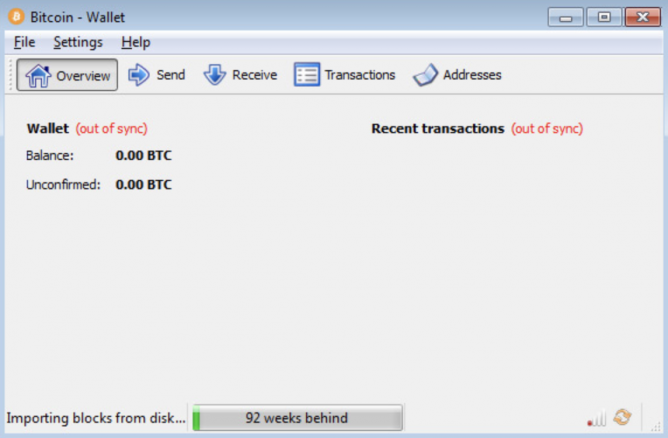 Desktop wallets are a software program that you download directly to your computer. Before choosing this option you need to be aware of the fact that some wallets will require you to download the entire blockchain history of the coin you want to interact with, which can weight tens of GigaBytes. 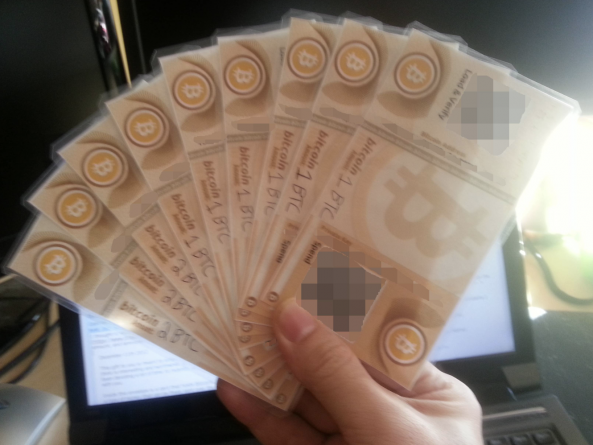 Furthermore, many desktop wallets (Like Bitcoin Core), will only support 1 coin (Bitcoin in this case). This can be a bit inconvenient if you hold multiple cryptocurrencies. As the name suggests, a paper wallet is simply a method by which your private keys are actually stored on a piece of paper (or written down on any other offline medium). Paper wallets can be an alternative to hardware wallets if you want to store your coins safely but are not in a position right now to invest in a hardware wallet. 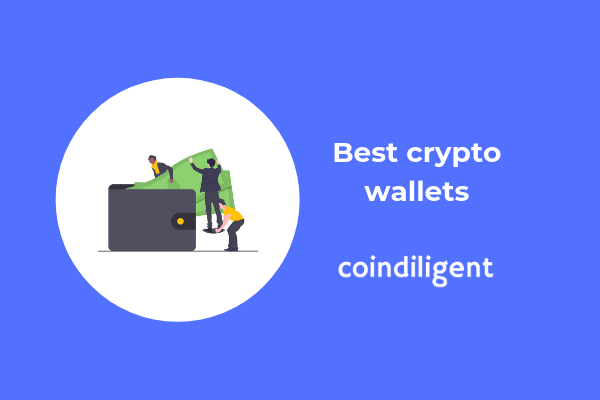 Before proceeding to our comparison table of the best cryptocurrency wallets, it’s important that you know what you should be looking at when choosing a wallet. We have conducted our cryptocurrency wallet review based on the 7 factors below. Security: How secure is the wallet? Cost: How much does the wallet cost? Are there any transaction fees? 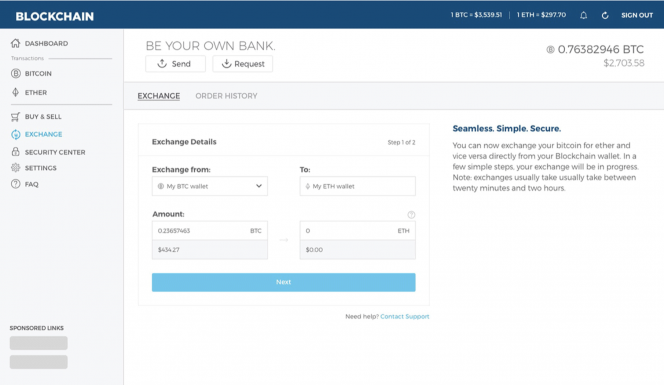 Ease of use: Is the wallet intuitive and easy to use? Multi-currency support: Does the wallet support multiple cryptocurrencies? Mobility: In the case of a hardware wallet, is it easy to carry around? Look and feel: Does the wallet “look” nice, or does it feel clunky and old? Customer support: How good is the customer support of the company selling the wallet? Before diving into more depth with each individual wallet, let’s first check how the best cryptocurrency wallets compare between each other. Very affordable, secure and simple to use hardware wallet. Since the safest option to store your cryptocurrency is a hardware wallet, that’s precisely the product that made it to the first spot on our crypto wallet review. 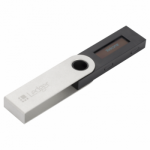 Manufactured in France by the trusted company “Ledger”, the Ledger Nano S is one of the most secure ways of storing your cryptocurrency. In order to interact with the coins you store on a Ledger Nano S, you simply have to open “Ledger Live”. The simplicity of this interface is why we also recommend it to beginners. 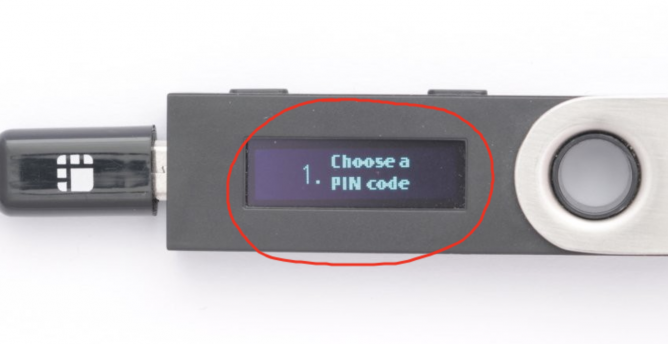 For additional security, the Ledger Nano S is locked with a customizable 8 digit pin. This way, even if your device is stolen your coins will remain safe as long as the thief doesn’t know your pin. The Ledger Nano S is operated with 2 physical buttons that are found the top of the device. 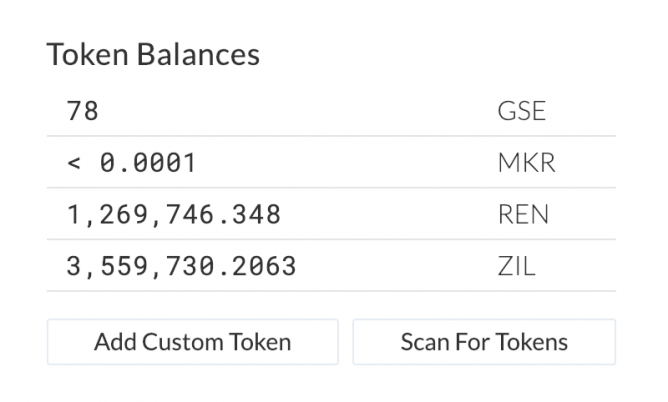 You can use these buttons to type in your pin, input your recovery words, confirm transactions, and view your balances. The fact that these buttons are physical is a significant security add-on since there is no way for a hacker to remotely click a physical button on your device. Although the design of the device could be sexier, the Ledger Nano S is hands down the best crypto hardware wallet out there by combining extreme security, a simple interface, and an unbeatable price. A trustworthy multi currency software wallet with a very intuitive user interface. 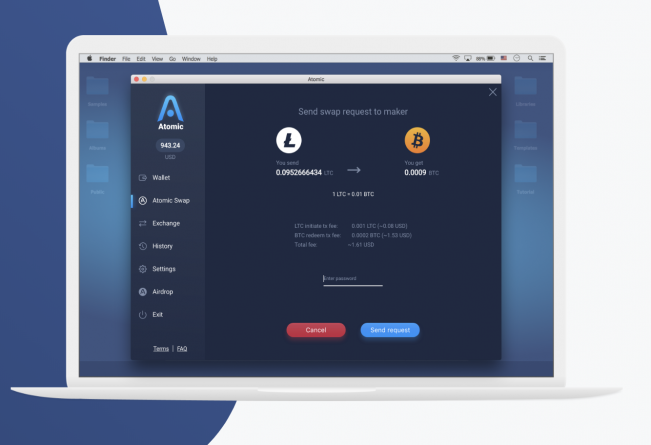 If you are not ready yet to purchase a hardware wallet and are instead looking for a simple and free software wallet, then Atomic is most likely a great fit for you. 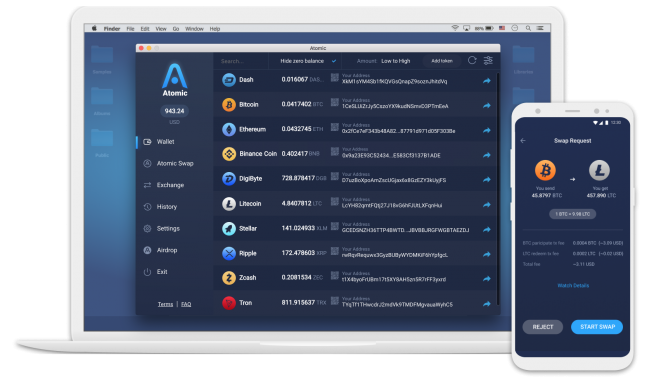 Atomic is a simple multi cryptocurrency wallet that can be downloaded to your PC, Tablet or Smartphone. 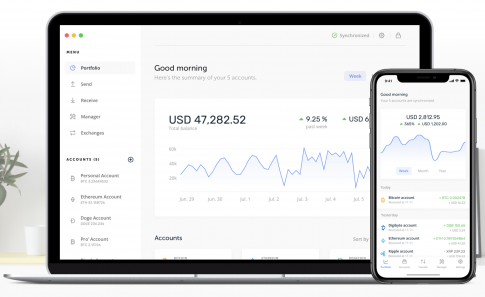 Although this is the safest way for a software wallet to operate, it can be cumbersome for people that are looking for a web wallet that they can easily access online without having to download anything. The wallet was not only launched several years ago and has been properly audited, but Atomic is also partnered with some of the largest companies in the space. This boosts the wallet’s credibility further, convincing even the greatest skeptics that the wallet is safe. With that being said, let’s dive into the functionality. As already mentioned, Atomic is a multiple currency wallet that supports hundreds of cryptocurrencies and that is very quick to add new ones. Furthermore, a very nice additional feature Atomic offers to its users is a built-in exchange. 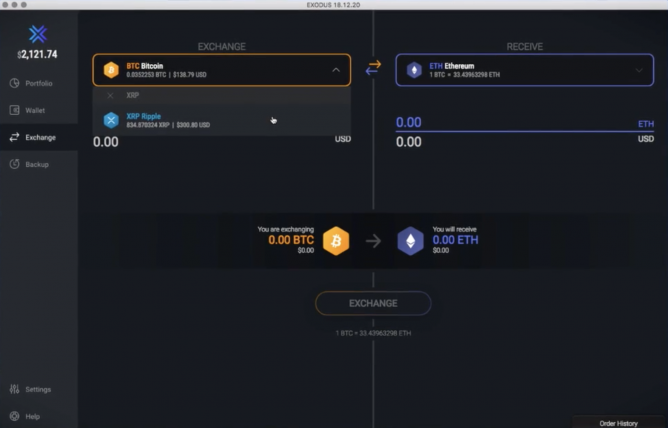 With the coin swap functionality, users can easily exchange their coins directly through the wallet without having to risk sending their coins to an exchange. Last but not least, another point that makes Atomic a great way to store your cryptocurrency is their fast support team and extensive help center. If you’re ever having an issue with anything, rest assured that the support team will find a solution immediately. Highly secure and trustworthy hardware wallet. Not ideal for absolute beginners. 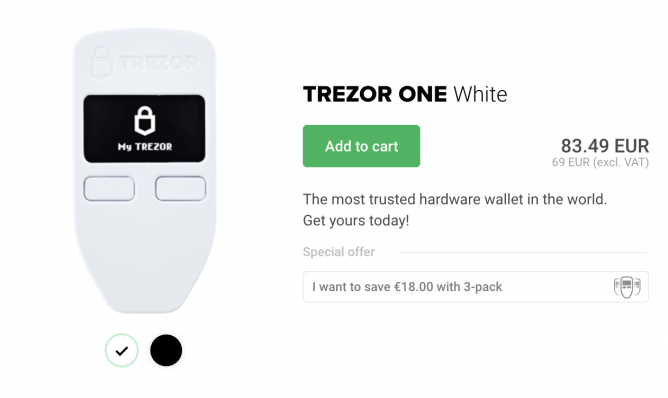 The TREZOR One was launched back in early 2014 as one of the first bitcoin hardware wallet ever, today it’s a multi cryptocurrency hardware wallet and supports dozens of other coins aside from Bitcoin. 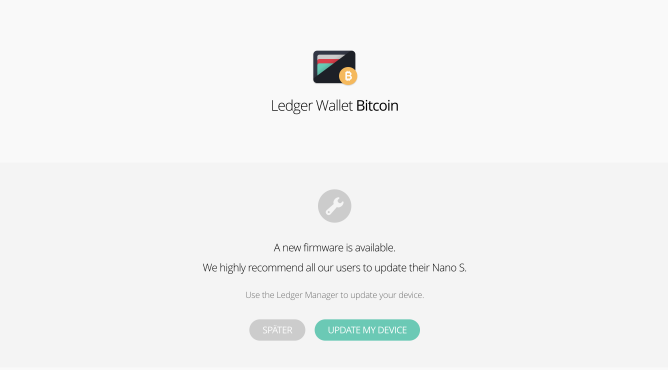 The device has hence been battle-tested for several years which is why some consider it a more secure option than the Ledger Nano S, however, that is debatable since both devices have never been compromised yet. The compact “key-like” appearance of the TREZOR One may not look very appealing, but it makes it very easy to carry around. However, one downside that needs to be mentioned about the built of the TREZOR One is the fact that it is entirely made of plastic. This makes the device significantly less robust to competitors like the Ledger Nano S.
That being said, at the time of writing TREZOR does offer a special edition device which is made of Aluminium. However, the price tag is a hefty $700 which is ridiculous considering that a Ledger Nano S costs about 10 times less. 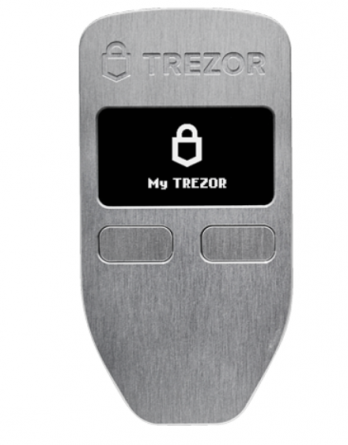 Similarly to the Ledger Nano S, the TREZOR One also has two physical buttons that are used to operate the device. 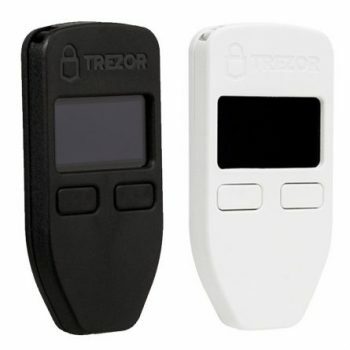 The only difference is that in the TREZOR they are found right below the screen, and not on one side of the device. Finally, it’s important to point out that the TREZOR one is accessed with a software program that can either be added to your browser or to your computer. 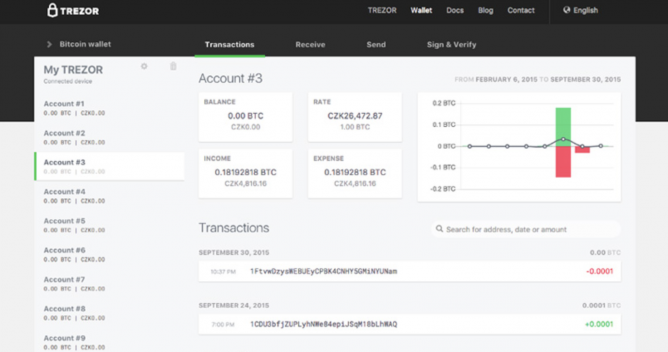 However, although the functionality of this program is very complete, it can be confusing for beginners, which is why we only recommend the TREZOR for people that are already a bit familiar with cryptocurrencies. An established software wallet that offers ease of use, convenience, and security. The Exodus wallet is a secure multi-currency wallet that at the time of writing supports 90+ crypto assets. It was created back in 2016 and has since then built an excellent reputation due to its technical excellence and brilliant customer support. 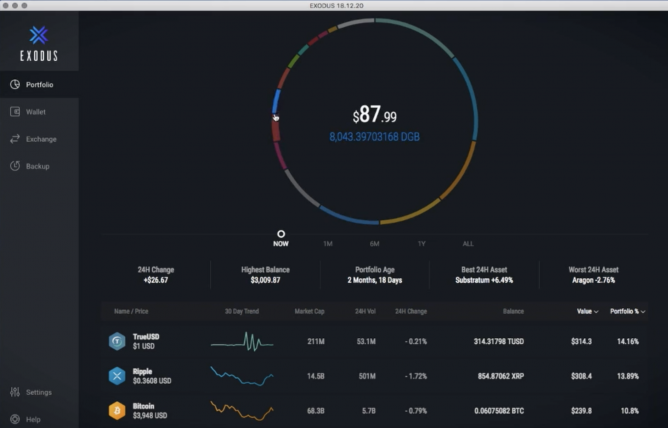 One of the main features that make the Exodus Wallet stand out is its intuitive user interface. Even beginners will be able to easily download the wallet to their computer or smartphone and start using it right away. Secondly, the wallet also has a built-in exchange that enables users to seamlessly swap coins from right inside of the wallet. This reduces risk significantly by not forcing users to send their coins to a third party exchange when wanting to do a trade. 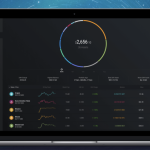 The wallet also offers a portfolio management feature, which enables to see all their cryptocurrency holdings at a glance. 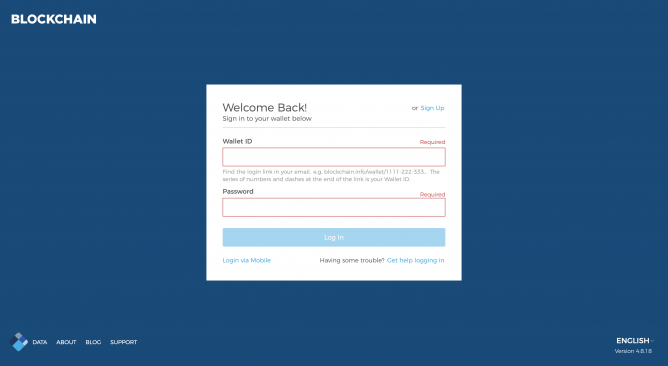 Our only points of criticism for the Exodus wallet are its log-in mechanism and the fact that there is no web wallet. The first point essentially means that the wallet is only secured by a password since there are no additional security measures, like 2-factor authentication via email, which means that if someone knows your password, he can steal your coins. The second point means that you won’t be able to easily sign in from any device since you actually need to download the software, however, this point is largely balanced out by their excellent mobile app which is why we gave the wallet nearly 5 starts for mobility. That being said, these are factors that most software wallets have in common and that does not make the Exodus wallet a bad pick. A simple yet powerful crypto wallet ideal for beginners. 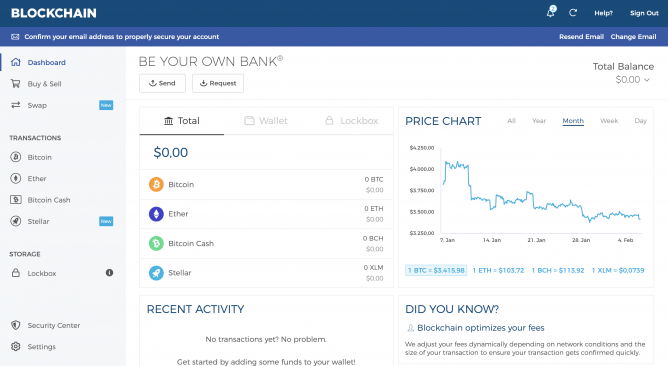 Formerly Blockchain.info, BLOCKCHAIN started out as a simple Bitcoin block explorer and has now evolved into one of the best crypto wallets out there with the slogan “Be your own bank”. The first thing that you will notice when creating a wallet with the company is that clearly, the main focus of the wallet is ease of use: the user interface is very clean, its very simple to send and receive coins, there is a limited number of coins, and the customer support is amazing. BLOCKCHAIN is probably the best wallet out there for someone that is just getting started in crypto and wants to store their coins safely. However, where many see advantages, some may see disadvantages. However, if that’s not a problem for you then read on because things are about to get interesting. BLOCKCHAIN is a web-wallet, meaning that you don’t have to download any software in order to use it and that you can sign into your wallet from absolutely any device. 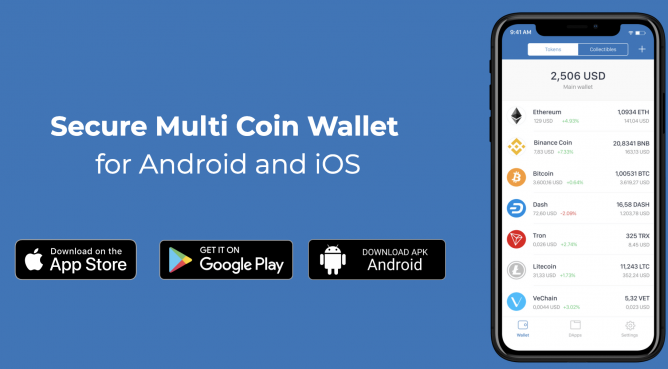 Furthermore, the wallet also has a great app for both iOS and Android which enables you to keep your coins right in your pocket wherever you go. 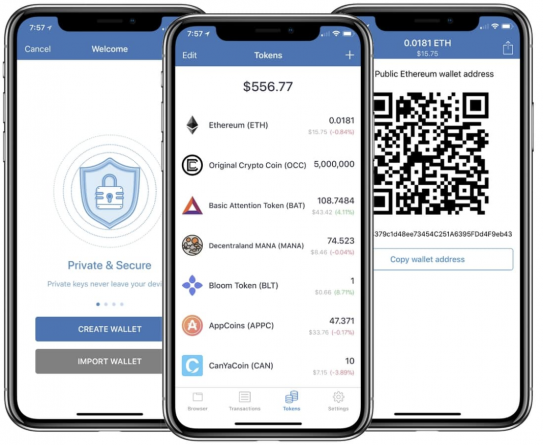 If you’re looking for the best cryptocurrency wallet for iphone or Android then BLOCKCHAIN is for you. Last but not least, BLOCKCHAIN also includes several additional features which are very nice add-ons. Some of the most powerful ones include a built-in exchange that easily enables you to buy or swap Bitcoin, Ether, Bitcoin Cash, or Stellar Lumens. 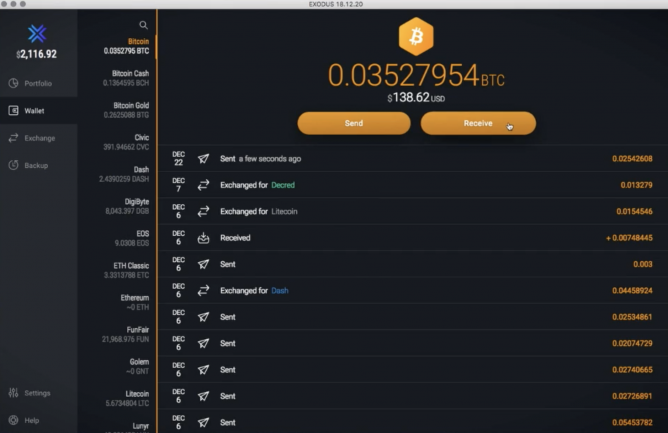 The wallet also has a feature it calls the “Lockbox” where it enables users to easily connect the BLOCKCHAIN wallet to their hardware wallet of choice. A mobile wallet owned by Binance that supports hundreds of cryptocurrencies. 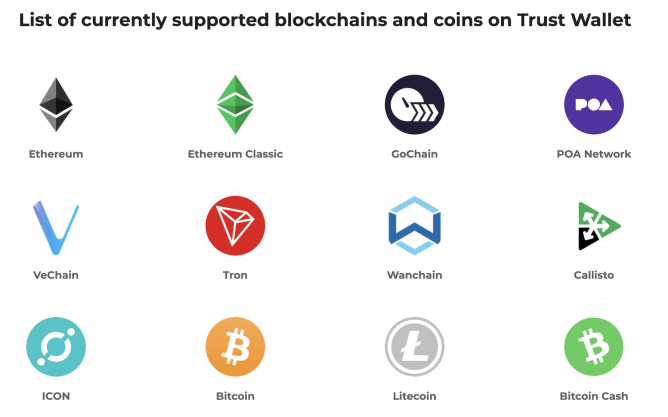 Trustwallet used to be a regular Ethereum and ERC-20 token wallet until it was acquired by crypto exchange titan Binance. Binance has now done multiple security audits to the wallet and also added support for additional coins like Bitcoin, Tron, Litecoin, and others. However, this feature expansion has come at a cost. Trust wallet now no longer the simple wallet that it used to be and is hence not a great option for people that are just getting started and that are not interested in a wallet with hundreds of confusing coins. 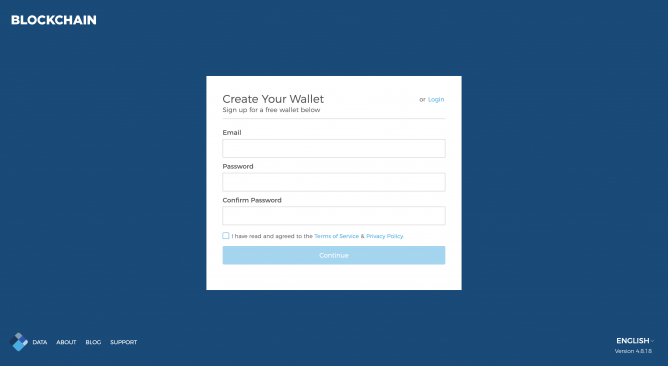 Furthermore, at the time of writing the Trust Wallet unfortunately only has an iOS or Android app. There is no way to access the wallet online or to download it to your PC. This not only comes with a usability downside but also with security concerns. It is a fact that smartphones are generally not the most secure option to store cryptocurrency since phones can be easily compromised. 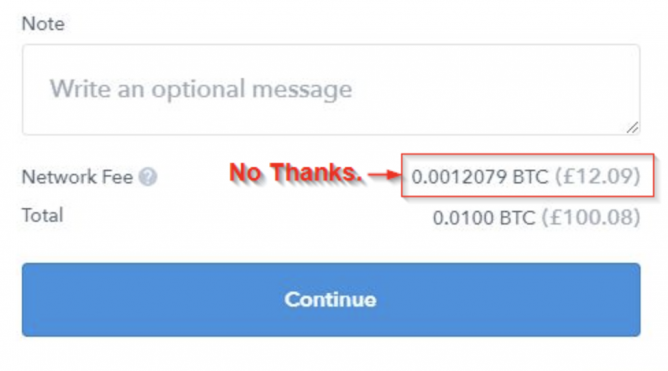 Therefore you should think carefully before sending all your coins to Trustwallet. That being said, I will end with something positive and say that Trust wallet is a decent option for mobile payment. Meaning that if you regularly spend your cryptocurrency at shops and stores, then keeping them on a mobile app like Trustwallet is going to make things much easier for you. Feature-rich Ethereum and ERC-20 token wallet that is ideal for advanced users. 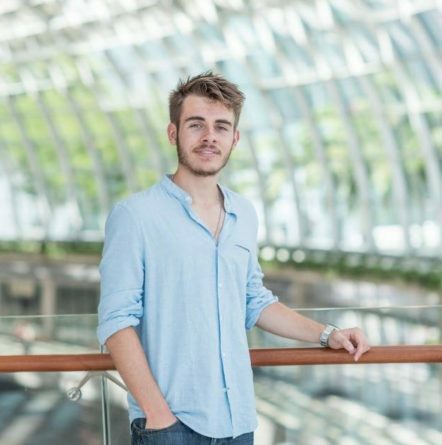 Founded by Taylor Monahan, MyCrypto was the result of an internal clash at MyEtherWallet. 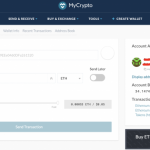 Meaning that if you liked MyEtherWallet, you will love MyCrypto. If there is one thing that makes MyCrypto stand out then it’s their excellent customer support. If you have any problem and open a support ticket, you can expect to receive an answer in just a few hours, often by Taylor herself. 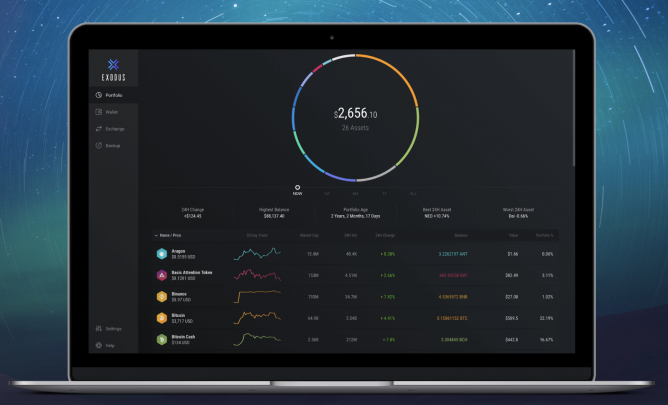 MyCrypto is a multi-currency wallet with a twist, it currently only supports Ether and Ethereum-based tokens. Although it’s true that this encompasses hundreds of assets, it will leave people holding coins like Bitcoin, Ripple, or Tron, with empty hands. 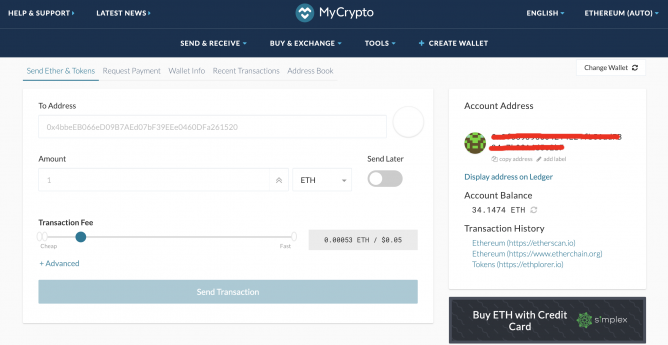 So if you’re looking for the best Ethereum wallet then MyCrypto is for you. On a separate point, although the wallet is an excellent piece of software, it is not a great fit for beginners. There are several barriers like the fact that users can not use a private key to log-in to the wallet or that some tokens need to be manually added that can be very off-putting for newcomers. In fact, the wallet is designed with advanced users in mind. MyCrypto enables advanced functionalities like triggering Ethereum smart contracts or scheduling transactions, which are clearly tailored to people that are already very familiar with blockchain tech. Deciding which cryptocurrency wallet is best for you depends on 4 main aspects: how many coins you hold, your level of expertise, how much you move around, and how you use your coins. Let’s dissect each of these 4 points into a bit more detail. As mentioned throughout this guide, by far the safest way to store your cryptocurrency are hardware wallets. However, as you know by now, they have a cost associated. A good hardware wallet costs about $70, which would not make it a great investment for people that hold less than $100-500 worth of cryptocurrency. If you hold over $500 then you should definitely opt for a cryptocurrency hardware wallet since the cost of the device is only a fraction of your portfolio value. Another factor to consider is your level of expertise. Although hardware wallets are highly secure, they might indeed prove to be a bit harder to use than software wallets. Therefore, if you are still a beginner in cryptocurrency investing and are not very familiar with the tech yet, you might want to opt for a simple software wallet. Do you move around or travel a lot? If yes then you should opt for a web wallet. Web wallets enable you to access your coins from any device in the world, so you won’t have to carry your PC or your hardware wallet with you all the time. Another option if you travel around a lot is to keep the coins on a mobile app wallet. However, you risk losing your device which might result in the loss of your coins if you didn’t back up your private keys or recovery words properly. If you actively use your cryptocurrencies for day to day payments then you should use a crypto wallet that you can easily carry with you at all times. Therefore, in this situation, a mobile app wallet would make a lot of sense. If, on the other hand, you’re currently holding cryptocurrencies as a long-term investment then you should opt for a highly secure storage method like a hardware wallet. The security of your cryptocurrency wallet depends entirely on the type of wallet that you are using, and how you use it. Since we already extensively covered which the most secure wallets are (hardware wallets), it’s now time to also explore some practices that you can follow to make sure that your crypto wallet is secure at all times. 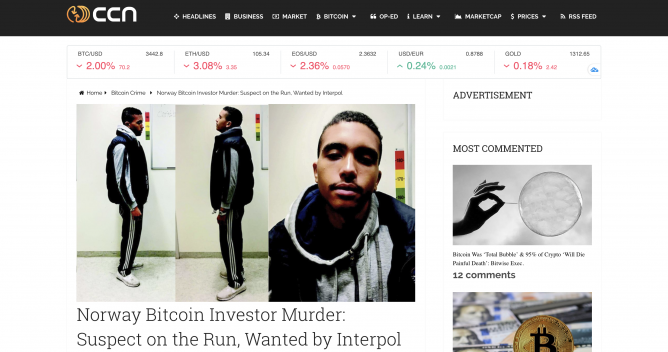 There have been countless kidnappings, robberies, and even assassinations, just to steal someone’s crypto. And the best way to avoid this is to NOT tell anyone how much crypto you hold. This, of course, applies to strangers and random people on the internet, but also to close friends. While your friends most likely won’t do you any harm, they may accidentally reveal your holdings to someone that might. Even the most secure hardware wallet won’t be able to protect you from someone holding a gun to your head. Remember: if someone finds your private key or recovery words for your wallets, then that person has full access to your coins. Therefore it’s crucial to store your wallet backups in a very safe place and to only tell about the place where you store it to 2-3 very close relatives that will be able to access in the unlikely case of your sudden death. Even if you keep your wallet backups safely hidden, they might still be permanently lost in the case of a flood, earthquake or fire. Therefore, it’s highly recommended to not only put your wallet backups in a protective case that’s waterproof (and ideally also fireproof) but to also have multiple copies of the backup and to keep them on different geographic locations. This point might seem obvious, but it’s shockingly often neglected. Whenever a new update is available for your crypto wallet, you NEED to download it. The creators of the wallet are pushing the update for a reason, and this reason is usually security related. So if you want to keep your coins safe, make sure to always have the latest wallet version installed. Most cryptocurrency wallets do not rely on any third party and are hence free of rent-seeking transaction fees. The only exception can be some centralized cloud wallets where there is a company behind them and that you access with an actual account and not just your private key. However, these types of web wallets should be avoided anyways since they are not a secure way to store your coins. That being said, there are indeed transaction costs when you send, for example, a BTC transaction through a Bitcoin wallet. BUT they don’t go to the wallet creator. These costs are called “network fee” and are a payment that goes to miners that verify the transaction you just sent. 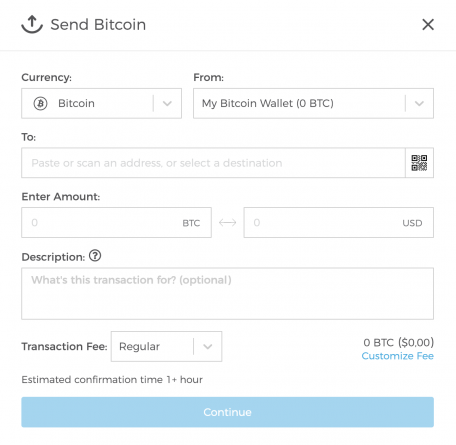 You can usually adapt this fee yourself (the higher you set it, the faster your transaction will be processed). Most cryptocurrency wallets are not anonymous, they are pseudonymous. This means that although crypto wallets are not directly tied to your real-world identity, transactions are fully transparent and might be traced back to your computer. For a truly anonymous crypto wallet experience, you essentially have two options. First of all, you can opt for using the wallets of privacy coins like Monero or Grin. Since these coins are fully anonymous, your wallet won’t reveal any information about you as well. The second option is to opt for a wallet with stealth addresses and built-in coin mixing. 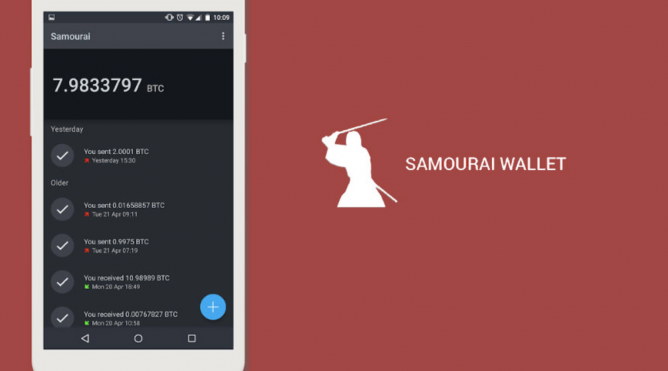 One example of a wallet that supports these functionalities is the Bitcoin Samourai Wallet. It’s true that these wallets are associated with higher transaction fees whenever you send some money to it, but they are pretty much the only option to anonymize a transparent coin like Bitcoin. Did I miss your favorite cryptocurrency wallet? Make sure to let me know in the comment section below. If you add a good argument for why the wallet should be in the article, I will consider adding it! Who used a bitcoin wallet https://bitcoinofficial.org What reviews?